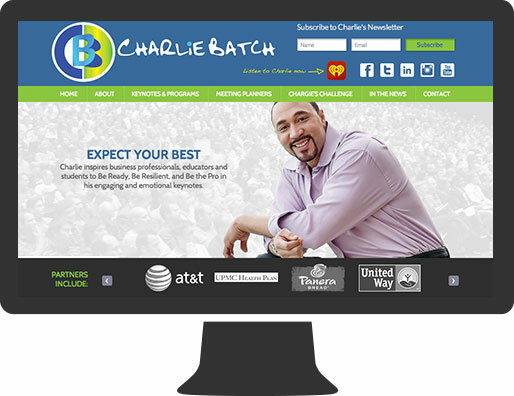 Former NFL quarterback Charlie Batch has become widely known as a community leader who gives back to his home town. 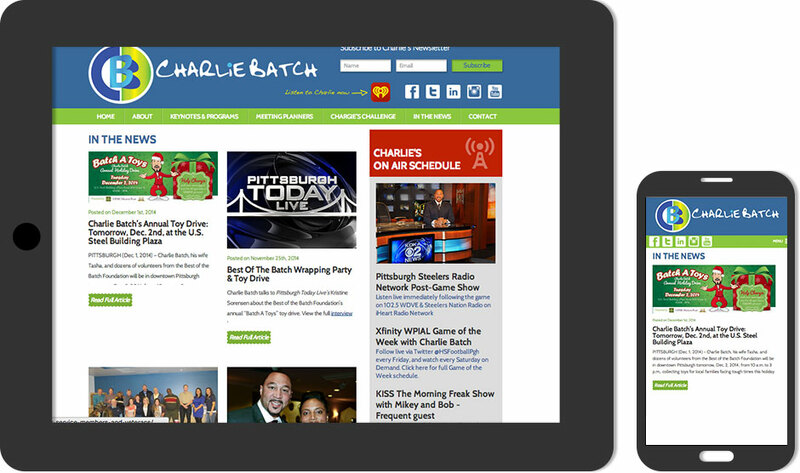 The website for CharlieBatch.com was designed to highlight his efforts in the community as well as promote his outstanding abilities a professional public speaker. Charlie was interested in having a website designed that was clean, professional, and allowed for frequent updates such as news and social networking feeds. 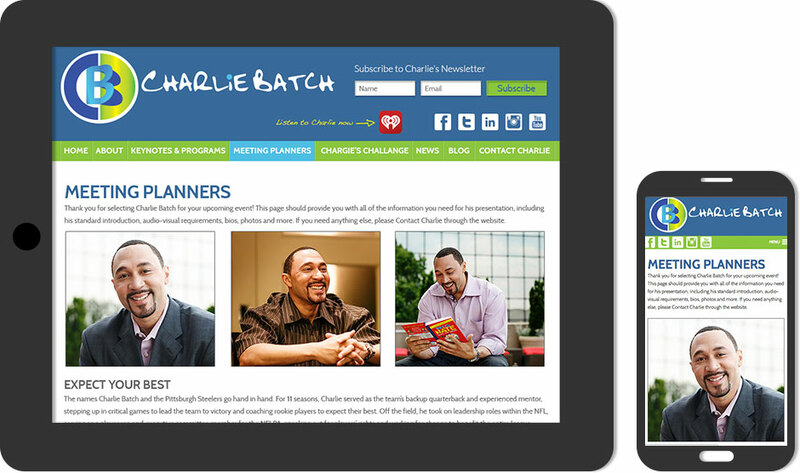 Charlie also needed the ability to update information on the site quickly and easily. We worked with Charlie's team throughout our design process and were able to develop a website that exceeded their expectations. The website was built to be mobile responsive using latest version of WordPress allowing for easily updates. We also added the ability for multiple administrators to edit sections of the website content with multiple levels of access.